This post is written in partnership with Stonyfield and prAna. It seems the the health of our planet has been getting a lot of publicity lately. From large scale global climate control to small scale changes we can make as individuals in our own homes, taking care of Mother Earth has never been more en vogue. Green is the new black, and if you are not doing your part to help save this planet, you're failing the world you live in. I've been passionate about making this world a greener and healthier place to call home. I've proudly been recycling for almost 20 years. And within the past 10 years, I've made a series of changes to the way I eat, the way I dress, and the way I clean my home to be more eco-friendly. The changes haven't always been easy, but I can say that they have definitely been worth it. About six years ago I took the first steps in making the switch to organic dairy products. After having hear Robin O'Brien speak and subsequently researching the hidden dangers in conventional dairy products, I was convinced that there was no better move to make than to switch to organic dairy. I've been a devotee to Stonyfield products ever since, and lately I've been reaching over and over again for the Organic Whole Milk Greek yogurt. As always, Stonyfield products are made without the use of toxic persistent pesticides, artificial hormones, antibiotics or GMOs and certified USDA organic. 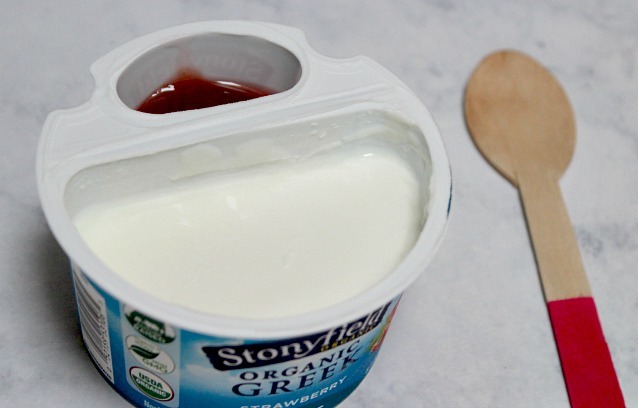 Stonyfield uses only fresh, organic whole milk to make its whole milk Greek yogurt. 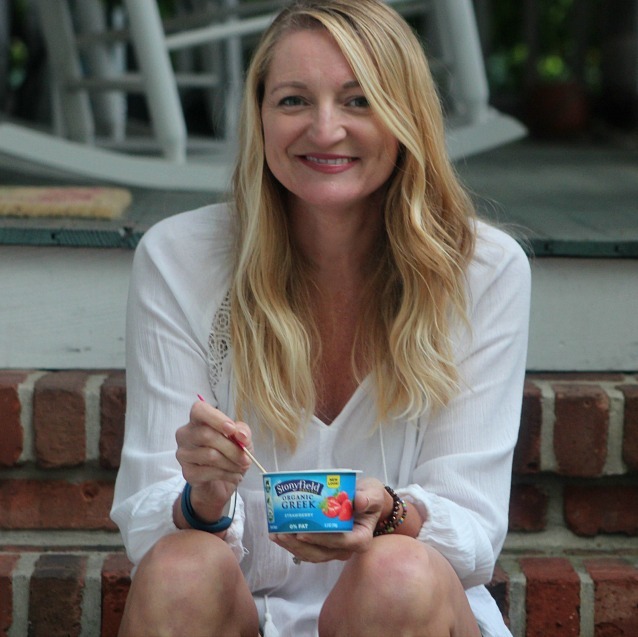 When I eat Stonyfield dairy products, I know that I am focusing on my whole self. #TheWholeYou could not be easier to achieve when you are eating the right foods and doing what's best for you. I love adventure. Everything from hiking to hitting an amusement park satisfies my sense of adventure and keeps me whole. But sometimes, I want to be adventurous and athletic without necessarily looking like I've just run a marathon. When I need clothes for those occasions, I always turn to prAna. prAna makes versatile, stylish, and sustainable clothing and accessories that you can wear during every activity, every adventure, every day. From yoga to hiking to brunching, prAna has you covered with chic alternatives to typical athleisure clothing. 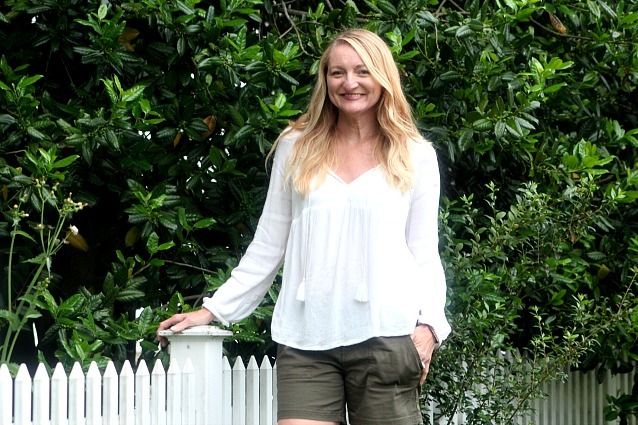 I was in search of a stylish pair of shorts that would work for hiking, city exploring, lunching seaside with friends, or relaxing on my deck outdoors. When I found the Tess Shorts, I was thrilled. They were exactly what I was looking for. 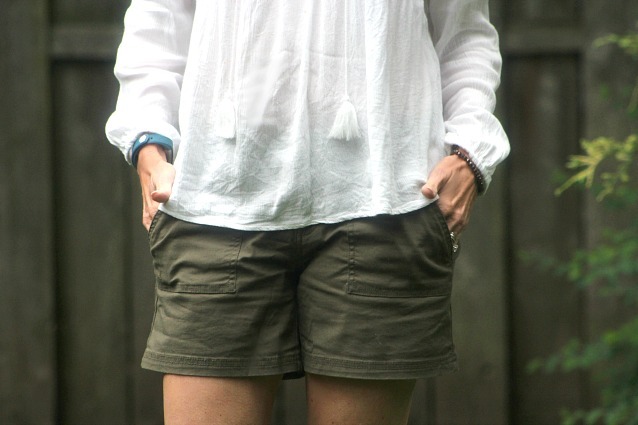 The cargo style offered the pockets that I needed and yet they were still slightly dressy and could work for going from hiking in the park to brunching al fresco. The Tess Short is made of 97% organic cotton and features just the right amount of stretch. There is a 5" inseam, and the shorts can be worn rolled up or down. 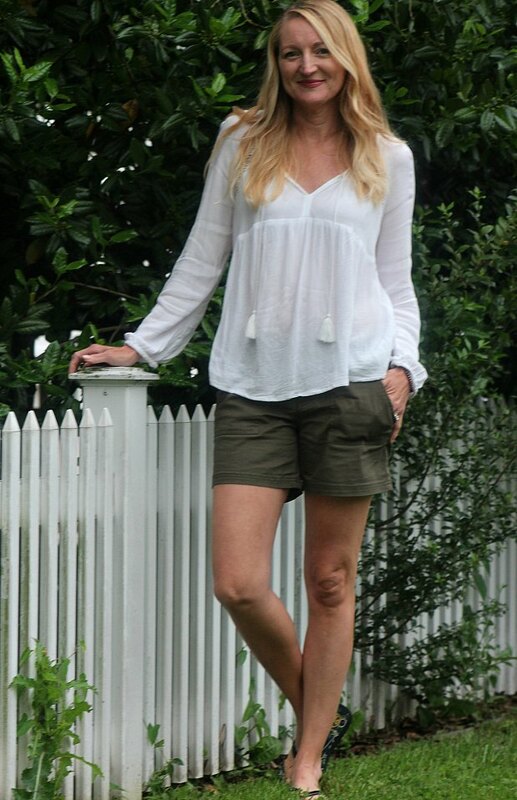 Here I am wearing the Tess Shorts with a boho, peasant style top, but these shorts work just as well with a tank top or tee shirt. The beauty of these shorts is that whatever the occasion, the Tess Short works. You can dress them up or down. Pair them with sneakers or dressy sandals. Versatility is the name of the game here! prAna is offering Pieces of a Mom readers a 15% discount on your entire prAna purchase with code WHOLES17PAM. Check out the prAna web site and start shopping for your next adventure!